The Leo Strauss Center held a conference on “Leo Strauss as Teacher” on April 22-23 in Social Science 122 (a lecture hall where Strauss himself occasionally taught) on the campus of the University of Chicago. In this article video of the conference sessions is published. 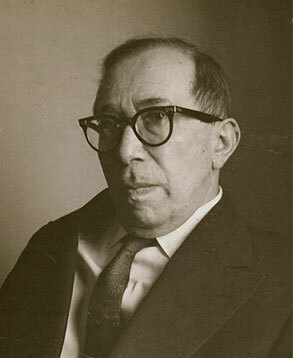 The conference marked the publication on the Center’s website of digitally remastered audiofiles made from the surviving audiotapes of Leo Strauss’s courses. It provided an opportunity to remember, think about, and discuss the example Strauss provided of a great teacher and to talk about the issues involved in preparing the transcripts of his courses for publication. The conference was divided into four panels: one panel of individuals who studied with Strauss in his early days at the University of Chicago; one panel who had studied with him late in his career, at the University of Chicago, Claremont Men’s College, or St. John’s College Annapolis; a panel of scholars who had edited transcripts on the basis of audio files and the French translator of Strauss, who is currently preparing for publication in French the transcripts of Strauss’s courses on Montesquieu, corrected against the audiofiles; and a final panel for discussion among all the speakers. There are separate videos for each of the four panels. Here is the detailed list of conference panels and panelists, with timings showing where on the video each segment begins.